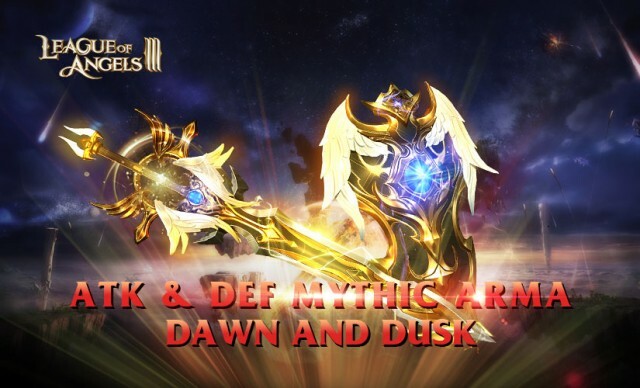 New Mythic Divine Arma set Dawn and Dusk are now available in X-Server Angel’s Fortune to enhance your power from March 22nd to March 24th. The brilliant set Divine Arma Dawn and Dusk is good at both attacking and defending. It can reduce rage while taunting enemies with additional damage in battle. Unlock the Divine Arma sweet to get the exclusive Mythic power and strike terror into your enemies! Victoria is the Guardian of Dawn and Dusk. Owning this hero will release the full power of the Divine Arma: attributes +20%. Besides, its type decides means that all Relics can benefit your main character. --Added PLAY x N button. --Added Dawn and Dusk Sigil and Dragonbane Sigil in reward. --Added Dawn and Dusk Sigil and Meteor Stone III in Diamond Exchange. 7. Consuming times in Coin Shop will be reset daily. 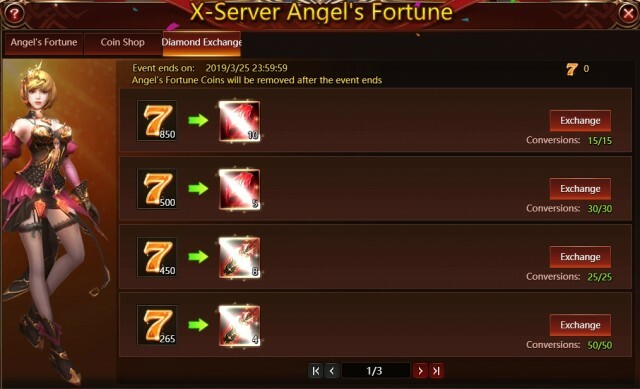 Attempts in Diamond Exchange will not be reset during the event. 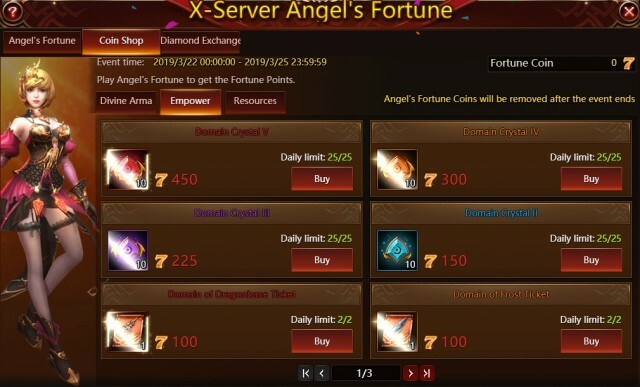 Angel’s Fortune Coins will be removed after the event ends. 2. Rewards such as Dawn and Dusk Sigil and Dragonbane Sigil and others can be randomly got when you greatly play the game. 3. Jackpot Prize will be given when 5 of the lucky “7” symbol appears in the middle row. 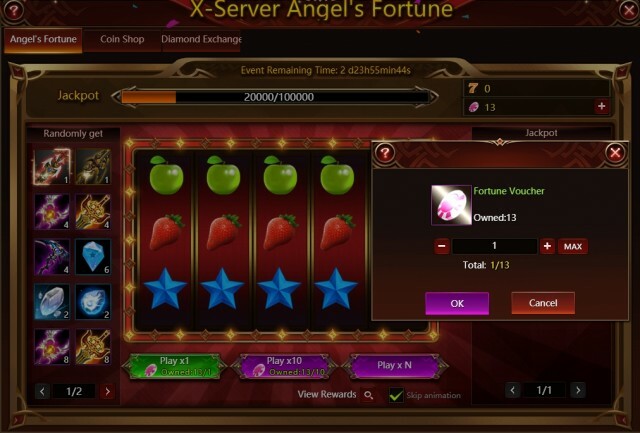 Jackpot Prize consists of the Coin reward listed below plus the entire Jackpot Prize pool. Please note that the above contents might be adjusted due to changes in the development plan. Final updates will be determined in game. Last: The best chance to get Dragonslayer!